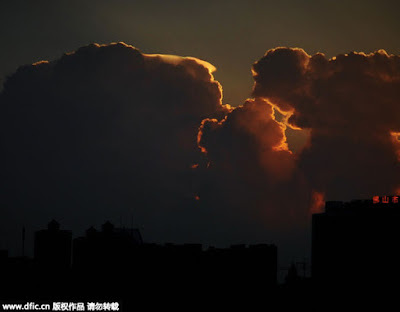 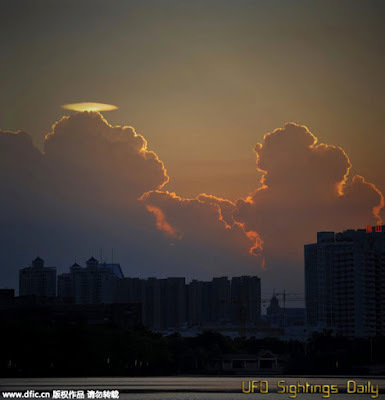 UFO SIGHTINGS DAILY: UFO Over clouds spotted in Guangdong, China On June 17, 2015, UFO Sighting News. UFO Over clouds spotted in Guangdong, China On June 17, 2015, UFO Sighting News. 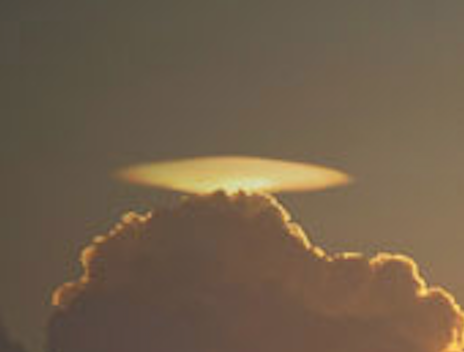 One of the things that is interesting is that this UFO was seen during sunset. Some UFO cloaks are vulnerable during sunset and this causes them to become visible for anywhere between 30 seconds to 15 minutes. Sunset is the most common time of day to see a UFO. 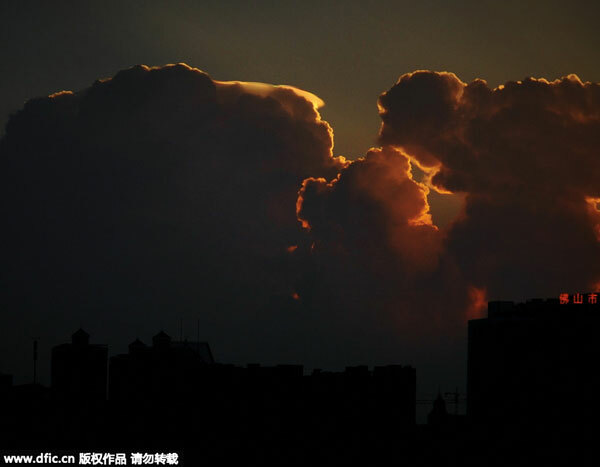 Watch a hundred sunsets and record it. You will see 4-10 UFOs during this time. 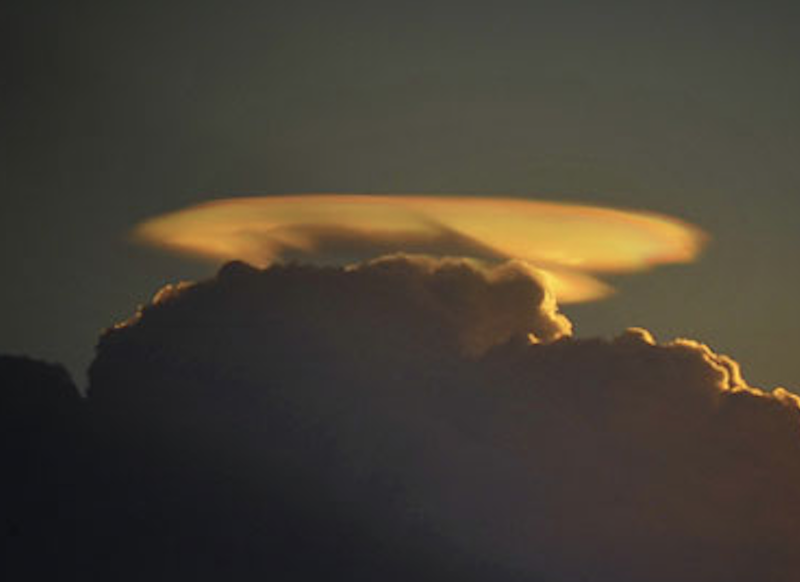 Most people are not aware how alien technology can create clouds or cloak itself to look like a cloud, but I am here to tell you they can and do. The Sept 1957 UFO event at Army Fort Belvoir, Verging is proof of this. 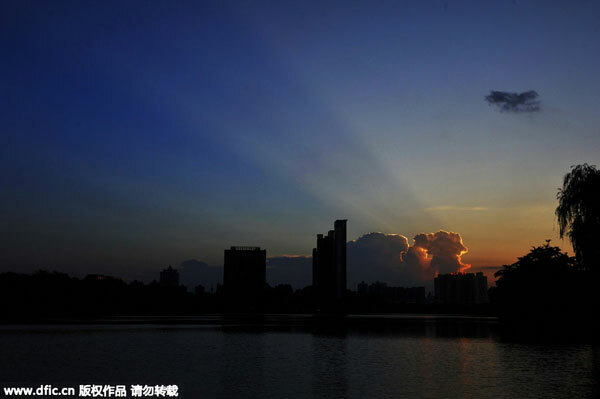 The stunning picture, taken on June 17, 2015 shows rare lenticular clouds in the sky over Foshan in South China's Guangdong province. 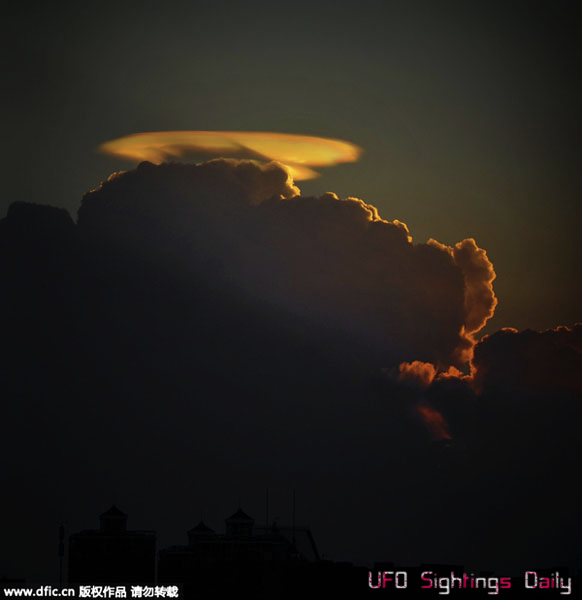 The clouds are sometimes reported as UFOs, particularly the flying saucer, because of their lens shape.